Looking for love in all the wrong places! This pulsing heart rhythmically throbs to a primal drumming beat so strong that the vibrations shake mice right to their core. When intrigued mice come to investigate, the heart horrifically splits open, each individual chamber stretching out to envelop them. Trapped inside, they join the rest of the mice that have been captured, beating at the walls to get out! 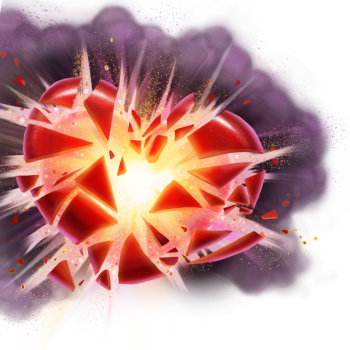 The Valentine Heart Core Trap Skin can be used on the Meteor Prison Core Trap. The trap's stats (power, power bonus, attraction bonus, etc.) are not changed. The Valentine Heart Core Trap Skin may be made available during the annual Lunar New Year event and can be traded on the Marketplace or through Give To Friends. 14 February 2018: The Valentine Heart Core Trap Skin was released as part of the Lunar New Year 2018. This page was last edited on 5 March 2018, at 23:13.